The first thing one wonders, after realizing how much Patricia Salas Pineda gets done every day, is how many hours her days must contain. 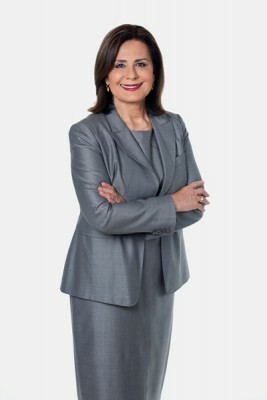 As the group vice president of Hispanic business strategy for North America, Pineda is responsible for optimizing relations between Toyota and national Hispanic organizations. She also leads the company’s efforts on strengthening ties with the Hispanic consumer and maintaining Toyota’s position as the number-one automotive choice for Latinos. She also serves on the board of directors for Levi Strauss & Co., one of the world’s largest apparel companies. Here, Pineda brings to the boardroom her extensive business, legal, and corporate governance expertise, as well as her leadership and critical-thinking skills. Pineda says she has always been fascinated by business and leadership strategies as well as how and why consumers interpret brands differently. Her days, shared among the Toyota headquarters, the boardroom, and her home, are typically long. Fortunately, she enjoys being busy. Pineda, a Mexican American, was born and raised in Santa Paula, California, a predominantly Latino community known as the “citrus capital of the world” for its fertile orange and lemon groves. She received a BA from Mills College and her JD from the University of California–Berkeley. That is why she encourages Latinos working in the C-suite and senior positions to consider serving on a corporate board, participating in development programs for aspiring corporate directors. MS: As a member of the human-resource committee at Levi’s, how have you influenced the direction of talent management and succession planning? PP: I chaired the human-resource committee for many years and continue to be a member. As part of that committee, I have had the opportunity to provide input in the areas of talent management and succession planning. I’m always advocating for a solid succession plan to ensure sufficient internal bench strength to fill senior leadership positions when they become available. Also, I was a principal in the hiring negotiations of the current CEO. MS: Your long-standing manufacturing experience certainly places you in a very critical advisory position to guide Levi’s supply chain and fulfillment of their products. Can you share any examples of this as it relates to how Levi’s engages with the Hispanic community, be it distribution, manufacturing, or overall marketing? How has the board provided guidance in this area? PP: My long-standing manufacturing experience has provided me with an appreciation for the importance of process, and I have always tried to take that experience and apply it to my work at Levi Strauss & Co. Since my role at Toyota is connected to the Hispanic consumer market, I have provided Levi’s with insights on the importance of that market. I believe that the company has done a great job of targeting multicultural consumers, including Hispanics. MS: Can you share a little more about your involvement with the Boston College Center for Corporate Citizenship’s Executive Forum? How has it influenced your role as a board member at Levi’s? PP: Based on my involvement with the Forum and my experience at Toyota and elsewhere, I bring perspective and serve as a good sounding board when it comes to corporate citizenship. Levi Strauss & Co. has always been a premier innovator in the area of corporate social responsibility and continues to be. MS: What are some of the ways you balance prioritizing your personal life with your corporate and executive life? PP: I need some physical activity, and right now, boxing is one of my favorite sports. I go to a gym and also have a personal trainer. That helps me sustain a high level of energy. I also take time to enjoy other passions. Music, for example, is a passion of mine. I studied piano for many years and enjoy all types of music. My husband and I listen to everything from salsa, to rock, to classical, to jazz.